For a removals company that is unrivalled in its quality and reliability, you’ll need the outstanding assistance of Cheshire Moving & Storage. Whether you’re moving home or office, you may soon find that moving so many items at once may prove more difficult than is feasible. For a commercial removals service that is beyond compare, be sure to get in touch with Cheshire Moving today. For a truly moving experience! Cheshire Moving and Storage provides long and short distance home removals and storage facilities to households in Wirral, Chester, Liverpool and surrounding areas, whether you’re moving across town or across the country. Cheshire Moving and Storage have been helping families across Merseyside and Cheshire, move home locally and nationally for over twenty years. Cheshire Moving provides an office relocation and business removals service with a fifteen-year track record for outstanding customer satisfaction. 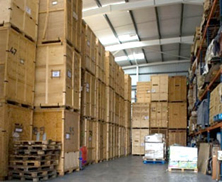 Cheshire Moving and Storage offer a 16,000sqft storage facility within Merseyside, which includes both containerised and racking solutions. 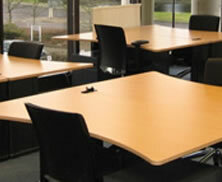 We can recycle or dispose of redundant office furniture, whether it is due to the purchase of new furniture for a new site or simply downsizing. Cheshire Moving and Storage are located across Merseyside and Cheshire, we have a wealth of experience spanning over 20 years in delivering a local, national and international removals service to families and individuals. Our professional domestic removals staff and modern fleet of home removals vans will make sure your valued possessions receive the care and attention they deserve and arrive safely at your destination. All household removals are done efficiently and with care, so your job is completed to deadline, leaving you with a stress-free move. We are committed to giving our customers a smooth and efficient move, from our dedicated customer service contact through to our trained packing teams. By choosing Cheshire Moving and Storage for your domestic removals, office removals or storagerequirements, you are in trusted and reputable hands. If you have a question, contact us on 0151 343 1264 or request a free quote tailored to meet your specific removal or storage needs. 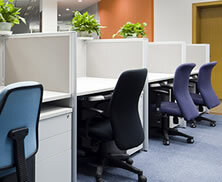 Find out more about our international removals, office removals and storage services today. In our business, everything that can go wrong will go wrong – on a regular basis. CMS deal with these problems professionally and quickly with little or no fuss. In fact, quite often we only hear about any issues after the event. That’s how efficient they are. is sometimes an understatement when applied to CMS. In short, we simply couldn’t operate our business as successfully as we do without CMS. I can, and do highly recommend them to other businesses. Just a short note to say thank you, for the professional and efficient manner in which our recent move into Store and to our Rental Property was managed by yourselves. We were very pleased with Brian and his site team for all their hard work and help in making our move a smooth operation. We would have no hesitation in recommending Cheshire Moving & Storage. Excellent service from start to finish. We have used this company on a few occasions and they have never disappointed us. From moving us to New Zealand and locally from Bebington to Eastham and another little move today. From staff in the office to the guys out on the road, they are professional and very courteous and friendly, making moving day so much easier. Thank you all. Contact us now to get a quote for all your moving and storage needs.